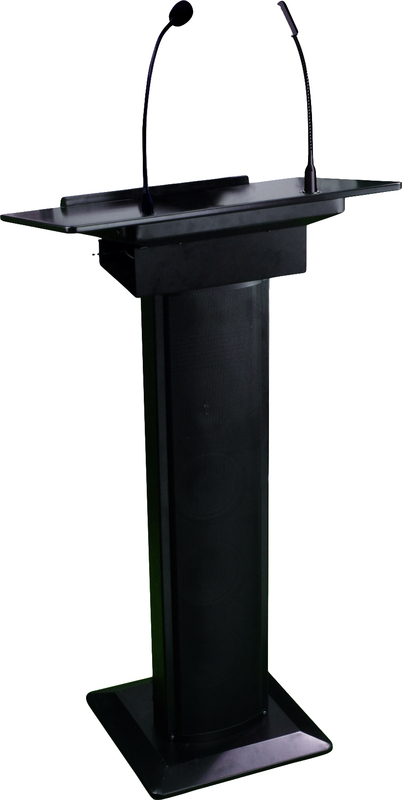 This series Lectern is an attractive public address podium that features an all-in-one design. It built-in 60W amplifier, 60W column speaker with one tweeter and three woofers. A flexible gooseneck microphone and lamp are provided as well. A number of input and output connections make it easy to expand its capacity.Available in white or black finish, wooden top and steel bottom, steel body; goose neck MIClength: 47cm; Lamp length: 45cm.